I have a bad habit of discovering a song and just listening to it on repeat, without delving deeper into the album/artist. 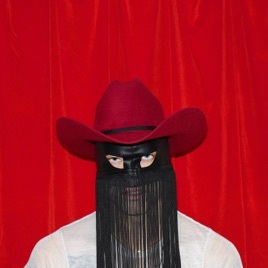 Orville Peck spurred me to explore his whole album; I’m looking forward to more from him! If K.D. Lang, Chris Isaac & Roy Orbison had a love child on the set of Twin Peaks it would probably sound something like this! I’ve only heard the first three singles and watched the Videos and immediately loved it and preordered the Vinyl! This dude is what music needs to be. You can’t label what he does. No generic genre name suits him. He blurs the lines to the point that you forget the lines even exist. Strong writing, perfect instrumentation, and his vocals are an absolute mash up of Roy Orbison beauty and Elvis Presley drama. Album of the Year so far for me.